Modeling Jobs>Competitions & Pageants>Dream Of Being The Next Teen / Miss Canada? Send In Your Application Today! 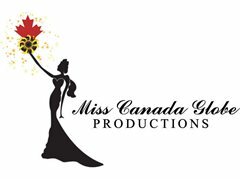 Dream Of Being The Next Teen / Miss Canada? Send In Your Application Today! You will then receive a phone call to confirm you information & an official application form will be sent to you by e-mail. An over the phone interview will then be scheduled once the application form is received. If you are selected as a finalist, You will then receive a welcome package in the mail with details on how the pageants works, as well as important dates, a National finalist sash, a National finalist letter of acceptance, a list of belongings you need to bring along and other information. You will then join us this August to compete for the National Title. All training will be provided during your stay, including tutorials on how to apply makeup, how to style your hair, how to walk in heels, confidents training, etc. You will participate in several daily activities, such as visiting Canada's Wonderland, touring the downtown Toronto area, eating at extravagant restaurants, participating in Karaoke, dancing, etc. There are no height or size requirements. This is a once in a lifetime experience that will leave you with many wonderful memories and many new friendships! All minors must get permission from a parent or guardian before applying.